For a relaxing evening on the couch, all you need is popcorn, some sugar or salt. New in the product range of ZIELER & CO. you find roasted corn with spices. Popcorn is a popular snack all over the world, one can hardly imagine a movie theatre without it. But it was invented ages ago, when the natives of Central and South America popped their corn. 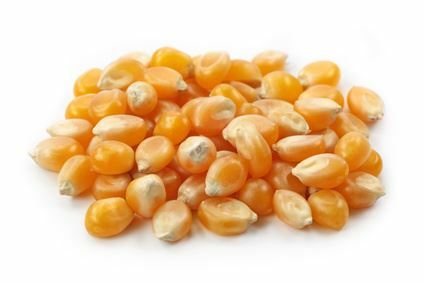 For popcorn you need a special type of corn, normal corn is wither too dry or too soft. Popcorn has a very thin but hard and slightly glassy skin. Like all types of corn, it is originally from Mexico and belongs to the sweet grass family. For popping corn, the popcorn simply needs to be heated in a pan with a lid and some hot oil. The endosperm in the corn contains starch and water, the latter turns into gas upon heating, extends and makes the popcorn burst or “pop”. The white endosperm tissue cools down fast again and turns solid, resulting in the typical popcorn structure. Popcorn – without sugar – is rich in fibre, vitamins B1 and B2, iron, proteins and carbon hydrates and is low in calories.